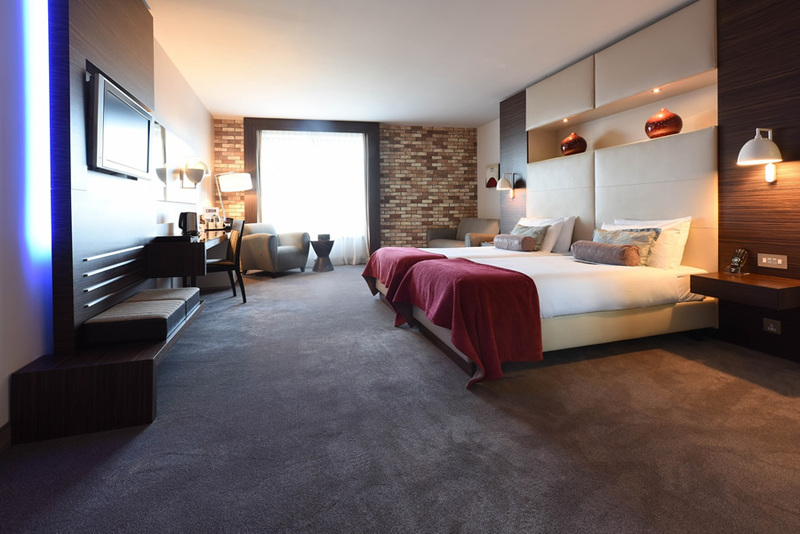 The Absolute Hotel & Spa is a four star hotel situated in the Limerick Medieval Quarter and is the perfect base from which to get the best out of the city, be it for business or pleasure. Please note that the hotel operates a non smoking policy. The Absolute has a limited car park that works on a first come first served basis. When this is full then guests are directed to the over flow car-park located across the road and this is EUR5.00 for 24 hours. The credit card used to make the booking, with the amount of the reservation plus available funds, must be presented upon check-in. If no credit card is available, then a debit card will be accepted. However, full payment will be taken on check in and no credit facility will be available on your room. The hotel is on Sir Harrys Mall Limerick City. Kings Island remains the hub of the city. King Johns Castle has been excavated, restored and opened to reveal the Viking foundations, along with the fabric of the great fortress itself and an exciting audio-visual presentation. Would highly recommend the Absolute Hotel. Rooms were really nice, staff couldn't have been nicer and the location is great, about 5 minutes walk from town. Will definitely stay again. Lovely hotel, food was excellent had dinner and breakfast package very good value. hotel and staff where truly excellent.food was great also.Planning to go back again in July to the same hotel. I would highly recommend this hotel for everything from food,hotel room,location and especially the staff. I would give it a 5 star for my experience. Loved everything about this hotel from the staff, location, food and of course our room, fabulous hotel. Have booked again to stay soon looking forward to it. Had a brilliant stay in a wonderful hotel where all the staff couldn't do enough for us. The dinner was top notch even though the restaurant was full and the brekafast the following day couldn't be faulted. Our room was huge and beautifully decorated. The only reason for giving 4 stars instead of 5 is that we were directly above the banqueting area where a 'Roaring 20's Casino night was in full swing'. We were not in the hotel to attend the party so hearing the band still playing at 1am took a star away. We will stay again - but we will ask for a quiet room on a higher floor. Lovely hotel. Had a lovely stay. Only negatives are a very small car park and I didn't like the breakfast sausages. Nice hotel but probably more of a 3 star than 4. However staff very nice and we got a free upgrade to Superior room. I would definitely recommend this hotel. stayed 3 nights recently and found the hotel from check-in to check-out to be of a really high standard.Room was spacious and cleaned daily to a high standard.Breakfast to us was excellent and hot food replenished quickly.Would definitly use this hotel again if we are in the area. Lovely comfortable hotel with great friendly staff serving nice food. Would not hesitate in recommending a stay at the Absolute and we look forward to returning. The locations was perfect (quiet area within 5 minutes walking distance to O'Connell Street). Hotel is very clean and modern. Bedrooms was spacious and had a good sized bathroom with an excellent shower. Buffet Breakfast was good with plenty to choose from but Coffee could have been better. Staff were extremely pleasant at all times. Excellent standard of service. The hotel is lovely and the rooms are very comfortable. Good location with secure parking included. Room Lovely, large, clean, modern and comfortable. Great Shower. Had dinner incl (2 courses + coffee) which was lovely and paid extra for steaks and desert. Very good value. Breakfast a big let down-food cold, not cooked (sausages looked like they were boiled and bacon terrible). Sorry we didnt just have a nicer coffee with a scone in the bar for our breakfast. Verg good value. Good location. Very convenient for shopping. Food good. Free secure on site parking. We had a wonderful stay, the room was so spacious, modern, very clean and had everything we could need. 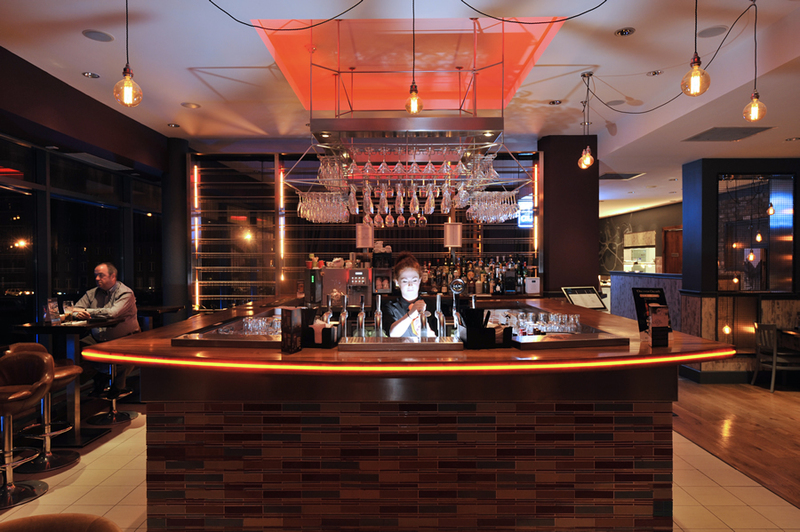 The staff were extremely helpful and courteous and the food was amazing. Hotel is modern rooms are spacious with good decor. Hotel is well located , close to King John's Castle and short walk to city center. Food in restaurant is excellent, particularly generous breakfast selection. Restaurant overlooks river in nice scenic setting. Ideal for a short break or exploring the Limerick Clare counties. I would have no hesitation recommending this hotel. Staff are friendly and helpful. Rooms are a generous size, excellent location, food is very good -it is well worth finding time for a leisurely breakfast. The staff are uniformly excellent -always courteous and professional. Just spent a wonderful 2 night break in the Absolute Hotel Limerick. Our room was beatiful, very comfortable and immaculately clean The food was excellent. Lovely hotel. Very friendly staff. fab room. the absolute hotel in limerick was perfect.the food and service was very good. highly recommended. Sammy march 21 2014 Absolute hotel was outstanding , from the staff , rooms , and the food could not find fault . Excellent hotel a Absolute find. Outstanding customer service, and very comfortable well kept decorated rooms. Have no faults except that maybe breakfast could be a little warmer. Location ideal could walk to the shops. Fantastic room and in a great location, just a few minutes walk to museums (try the Hunt museum). Breakfast wasn't fantstic (very hard to get a nice breakfast anywhere these days) and we didn't dine in the restaurant in the evening but we would definetly stay again. The deal we got was €80 for 1 night B&B for 2 of us and it was great value. excellent hotel. Good Staff. Nice food. great location and value for money. Will be back. only fault is no leisure centre or pool. I had a most enjoyable stay in The Absolute Hotel last week . The most outstanding feature of the Hotel to me, was the Cleanliness of every place. The bedroom was spacious with a lovely view of the River. . The staff were most helpful and cheerful at all times.. The food was beautifully presented with an excellent choice and always delicious. It was very central to all the amenities in the City and with convenient parking at Hotel. I look forward to many return visits in the near future. I would give it 5 star. We really enjoyed our stay here for new years. The hotel was fabulous and our room was amazing. I would recommend this hotel to anyone. The breakfast was better than I had before and with so many choices. very nice hotel in a great location. breakfast was lovely. Lovely comfortable hotel, stylish decor and fabulous breakfast. All staff we encountered were very helpful and courteous. Would definitely stay there again when in Limerick. lovely room & ensuite, very comfortable, clean, spacious and modern. Needed for nothing. Lovely food for lunch, dinner and breakfast - tasty and good value. Only 1 minor gripe - a little chilly in the bar area but not a big deal at all. thanks! I have been back to this hotel on numerous occasions. there roomas are sop big and spacious and their staff ar second to none! the quality of the food at breakfast and at evening meals is exceptional, and we are difficult people to please!!!!! there is nothing i could say to improve this hotel-only keep up the good work. Lovely hotel, nice and modern. Quiet rooms and very central. Bar food and breakfast excellent. Have the omelette or poached eggs! 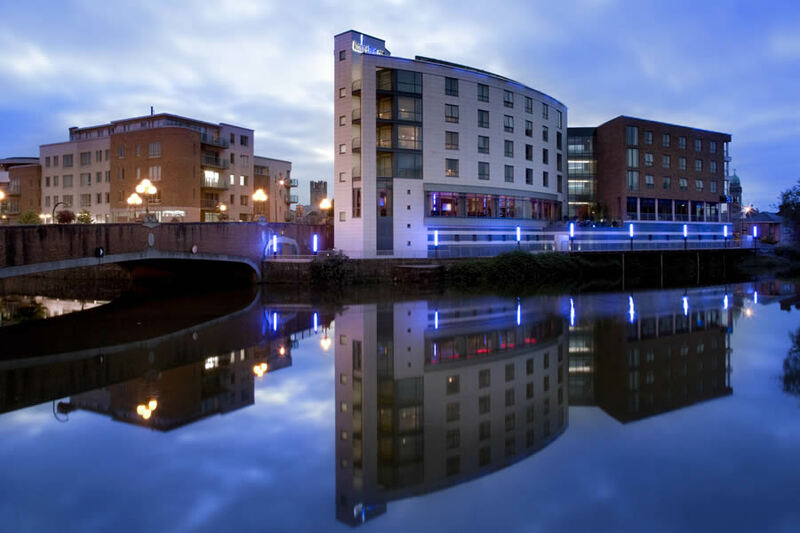 We had a really nice stay at the Absolute Hotel Limerick, we found the staff very helpful and location just perfect, our room was really nice and we had two lovely meals. would definitely go there again. Hotel beautiful but impossible to find. Very bad sign posting. Also €15 charge for use of spa room. Usually there is no charge except you are having a treatment. I can't praise this hotel highly enough! Fabulous spacious room,very comfortable beds,spotlessly clean.Great toiletries in the bathroom,lovely shower. Location is also very good.Breakfast and dinner were excellent-great choice,excellent presentation.All the staff without exception are friendly,helpful and very professional. Car parking is free if you can get a space which is also a big bonus. I would have liked information in the room on the spa and treatments available-there was none.I really enjoyed my stay in the hotel,have recommended it to friends and will return for a longer stay. Beautiful hotel, very clean and good location. About 10mins walk to centre. Food in restaurant was excellent and staff really nice. My own personal problem with the hotel was the stairsway. I don't do lifts and the stairway was via the restaurant which was locked up at 11pm. One had to ring reception from room for person to come and unlock the doors after this time. I am claustrophobic and didn't like this.